Remove skins of chickpeas (spices will stick better). Set chickpeas aside to dry. Meanwhile, in a medium bowl mix together spices and oil. Add dried chickpeas to bowl and toss until an even coat of seasoning has covered the chickpeas. 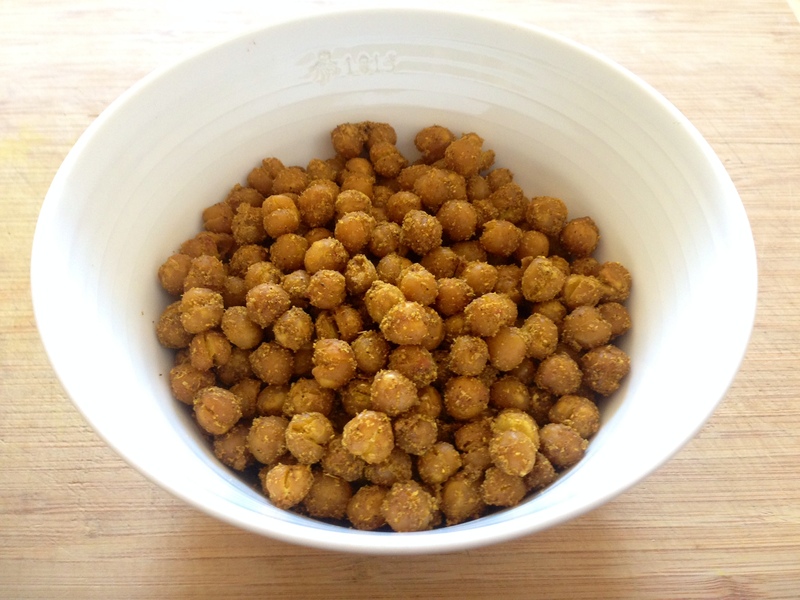 Pour chickpeas onto a lined baking sheet and spread evenly. Stirring occasionally, bake for 40 minutes or until desired firmness is achieved. Cool and serve! Enjoy within the same day.